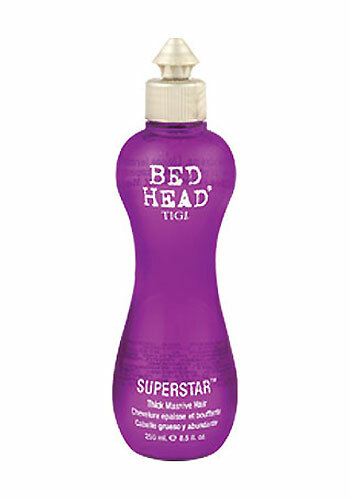 Pumps up your hair volume to unbelievable heights with this TIGI Bed Head Superstar Thermal Blow-dry Lotion in such an easy way. A superstar style large volume hair will be quicker for you to make. It also protects your hair from heat styling damage and conditions your hair carefully. So get a bold, shiny and healthy superstar style by using this Superstar Blow-dry Lotion. Pour a generous amount into palm of hand and work through damp or dry hair and blow-dry.